You’ve probably heard “You gotta start a newsletter!” from several bloggers and business owners. WHY DON’T YOU HAVE ONE ALREADY?! You have a million and one tasks on your plate (to be completed during part-time hours) and adding a newsletter just doesn’t seem that important. Or maybe you’ve started a newsletter but you just can’t seem to stay on top of it. I put off starting my newsletter and learning the tactics that turned it into a selling machine longer than I should have. Knowing what I know now, I really wish I would have given it more attention sooner. Really?! A newsletter can’t be that great. 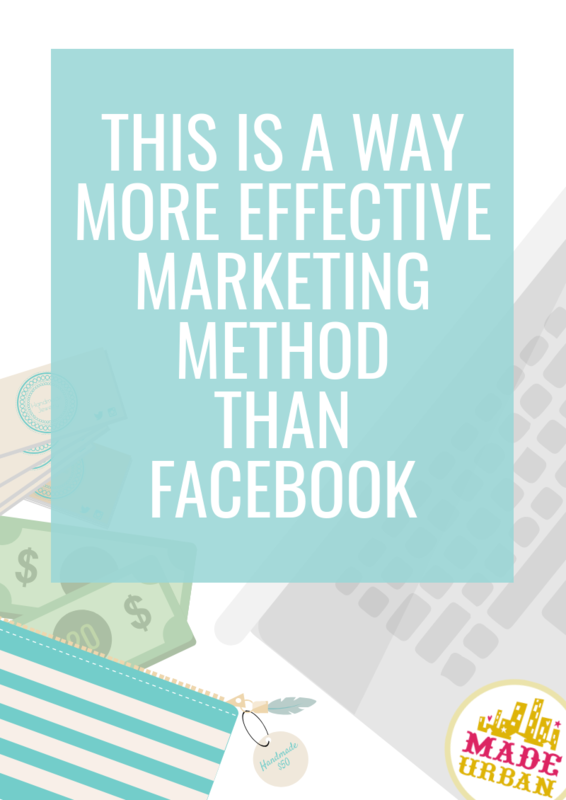 You make 4x more money using email marketing than you do with other marketing methods, such as posting to Facebook or paying for Google ads. I finally had a marketing method that resulted in sales when I stopped putting all my marketing efforts into social media and focused on my newsletter. Send an email; make sales. Can you say the same about a social media post? (post to Facebook; make a sale) If you can, awesome. For me, a Facebook post results in likes, clicks and maybe a comment or two, but very rarely a sale. Social media is not meant for making sales; it’s for warming potential customers up. From “follower” to “customer” is a big leap. Your newsletter acts as a comfortable stepping stone that makes the walk into customer-ville a lot easier. The majority of small businesses have a social media account but they don’t use email marketing. If you can post to Facebook, or Instagram, or any other social media platform, you can send a regular newsletter. 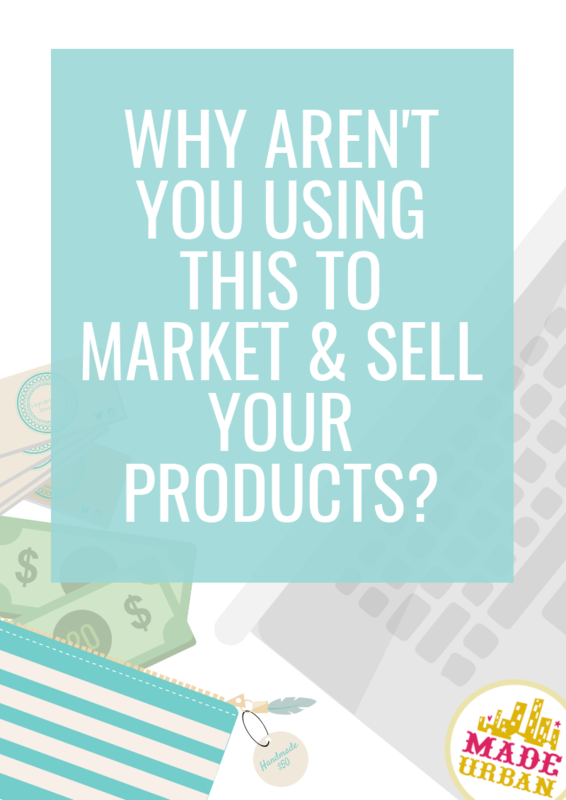 If you’re always wondering: how can I market my business? but you don’t have a newsletter, or you have one but you’re not regularly sending emails, you’re missing out! But I want to reach new people! Here’s the thing, on average, 98% of the people you reach through Facebook, paid ads, craft shows, etc. aren’t buying. And without a newsletter, you’re simply letting them walk away. 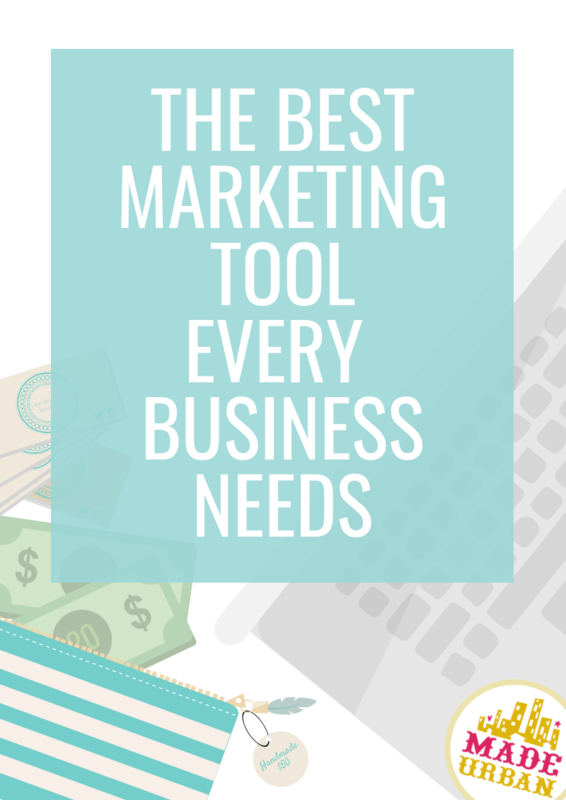 You’re currently marketing your business to hundreds of people, getting them to your online shop and simply letting those who aren’t ready to buy walk right back out your virtual doors (98% of them). That’s like me gathering all the ingredients for my favorite summer drink (a Moscow Mule) squeezing fresh lime juice, measuring the vodka and ginger beer and pouring everything into a copper mug full of holes. Any liquid that doesn’t make it into my mouth on the first sip (which is a decent amount…but not enough to satisfy me) is going to leak right out. What a waste of my time and money. Imagine you watched me make that drink over and over, getting just a sip before 98% of it dripped onto the floor. As your good friend, I want to tell you that you need a newsletter in place to stop all those perfectly good shoppers you’ve gotten to your website or craft show table, from slipping away. Your newsletter will keep them in your marketing circle so you can easily stay in touch and eventually turn them into customers (4x more successfully than you can through Facebook…just sayin’). Once you learn how to put a newsletter to proper use, it will be your best sales tool. You’ll be wondering why you wasted so many hours on Facebook when you could’ve been working on your newsletter. You must follow email marketing laws. Not only for your country, but also for the countries your subscribers reside in. I had to delete hundreds of subscribers to make my subscriber list legal, after I had been building it for a couple years. Start your list on the right legal foot so you don’t have to go through that same pain. You also cannot use your Gmail, Outlook, Yahoo, etc. account to send newsletter emails. Technically, you may be able to get away with it, but there are a lot of reasons, legally-wise, deliverability-wise, statistically-wise, sanity-wise, to use an email marketing service such as MailChimp, Convertkit, etc. More than 75% of emails don’t get opened, on average. That means if you send an email to 100 people, more than 75 won’t even open it. Seems like a waste right? Like putting liquid into a glass full of holes? Which is why I’ve uncovered, through trial and error, how to get way more than 25% of subscribers to open emails. No one wants to read “here’s what I made and I’d like you to buy it please” emails week after week. Your newsletter should excite, motivate, inspire, inform. But it must also sell. Yes, it can be done. I’ll teach you how to write emails that keep subscribers interested and buying in Chapter 2 of HOW TO START, SEND & GROW A SUCCESSFUL NEWSLETTER. A year’s worth of emails sharing different products to buy isn’t likely to keep excitement levels up or have subscribers opening your emails week after week. Your newsletter needs a mix of promotional and non-promotional content. You can still make sales, even when sending non-promotional content. How? That tip is only shared in the ebook. I also share tons of ideas for promotional and non-promotional newsletter topics any business can use. And if you don’t like writing, I’ve got a few tips for you too! Many people get their newsletter started but then forget to send emails or send them sporadically because they don’t know what to send. You must be much more strategic than randomly sending emails or picking newsletter topics out of a hat. Newsletters must align with big dates on your business’ calendar. And if you don’t have your business year planned yet, a sales-producing, subscriber-pleasing newsletter schedule will help you plan your entire year. Yes, a well-planned newsletter schedule can be that powerful. And if you’re worried you’ll eventually run out of ideas to fill a newsletter schedule year after year, I have solutions to keep that from ever happening. No, you can’t just slap a newsletter signup form on your website and watch subscribers pile up. Growing a quality list requires strategy. I saw slow growth in the first 4 years of operating my newsletter; gaining a little over 2000 subscribers. Then I discovered the techniques that convince people to sign up and grew my list from 2000 to more than 16,000 quality subscribers within 3 years (And that’s with deleting 1000 – 2000 subscribers every couple months; I explain in the ebook why I delete them). My subscribers don’t just open and read my emails when I’m offering free content, they value my paid products and trust me enough to buy when I share one of them. I’ll teach you the techniques I used so you can also grow a subscriber list full of people who buy, regardless of what you sell. I’m also sharing an easy to follow formula to help you write powerful text for your newsletter’s signup forms. Because you can’t simply write “Sign up for my newsletter”, “Stay up to date” or “Subscribe!” and expect a form to have average, or above average conversions (aka signups). Opt-in offers are another popular technique used to get people to subscribe. I share a variety of opt-in offers any type of business can use; not just bloggers selling information. I also explain the key components that must be in place for every opt-in offer if it’s going to give you a return on investment (aka make you money). And of course, I’m going to tell you exactly where and how to market your newsletter so you’re not just waiting for people to notice a signup form in your website’s footer (which equates to a slow-growing list). It’s one thing to come up with a list of email topics you can send subscribers; it’s another to create subject lines from them that stand out in overflowing inboxes, get your messages read and your links clicked. You can’t make sales if your emails don’t get opened and your links don’t get clicked. 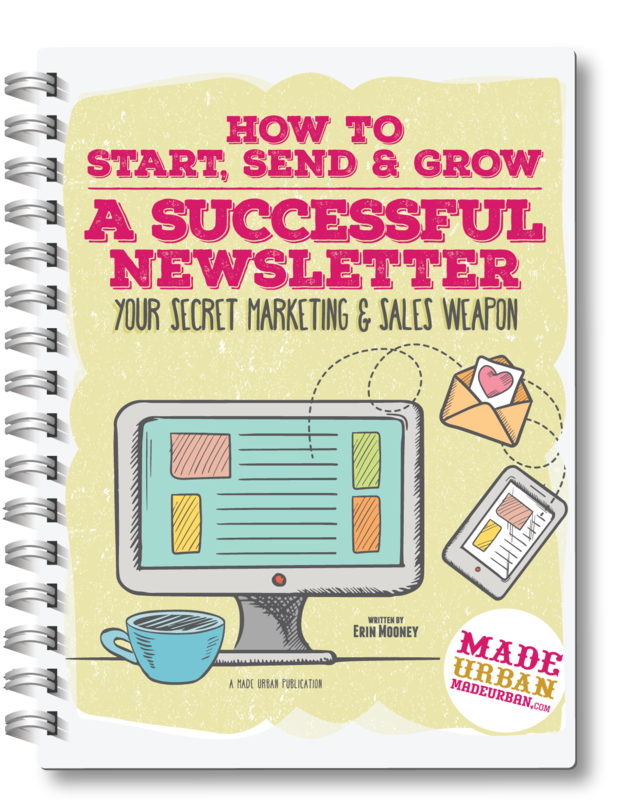 Buy HOW TO START, SEND & GROW A SUCCESSFUL NEWSLETTER now to start getting sales from your marketing efforts. My favorite part of email marketing. 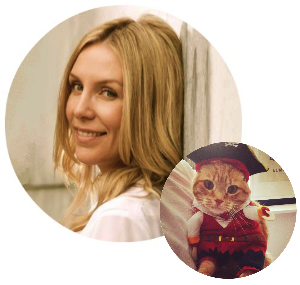 Triggers and automations can put your email marketing and sales on autopilot. Very rarely does a consumer go from hearing about your business, straight to being a customer. There are several steps that must happen in between to warm them up and get them comfortable with the idea of buying. The steps involved create a sales funnel. And every online sales funnel needs triggers and automations to run smoothly. And then send appropriate emails to each type of subscriber. To boost sales, your business needs 3 types of automations. I’ll teach you what they are, how to set up the proper triggers for them and the content each automation should cover. I even walk you through exactly how to set up your very first trigger and automation to help add clarity to this sometimes confusing feature. STEP 8 – GET THOSE STATS UP…STAT! For your newsletter to be an effective marketing tool, you’ll need your stats close to average. And I know how to get to above average stats. According to MailChimp and Convertkit, 20% – 30% is an average open rate and 2% – 5% is an average click rate. Here are a couple screenshots from my current newsletter stats. On average, my emails receive over a 40% open rate and 10% click rate. I realize your business may be very different from mine but the basic principles still apply. I’m sharing the best practices I’ve discovered through trial and (a lot of) error. They’re all the little things that aren’t typically covered in general newsletter advice but are the little things that make a BIG difference. My tips will help you increase open and click rates, and lower unsubscribe rates. On top of all this information, I’ve also included worksheets. I don’t want this ebook to leave you with a long list of tasks you’ll probably never get to because you feel so overwhelmed by all the information. I’ve written each chapter as consecutive steps you should follow to properly set up your newsletter, plan your schedule and send powerful emails. Each chapter finishes with a TAKE ACTION section, which will tell you which worksheet to fill in. And each worksheet will help you check newsletter setup and maintain tasks off your to-do list. If you follow the steps in each chapter and complete the worksheets, you’ll be ready to publish your first signup form, start collecting email addresses and hit send on your first email by the end of the ebook. YOUR BUSINESS IS SO DIFFERENT THAN MINE, WILL YOUR ADVICE WORK FOR ME? Yes. I wrote this ebook with makers in mind and my advice, strategies and examples are geared towards businesses selling a handmade product. This isn’t a follow-the-exact-steps-my-business-took type of ebook. It’s a here-are-powerful-strategies-every-newsletter-must-implement-to-be-successful-and-here’s-how-you-can-make-it-work-for-your-business type of ebook. Just as every type of business must be able to define the key areas outlined in a business plan (e.g. market analysis, competitor analysis, marketing plan, etc.) to be successful, every newsletter must use the tactics outlined in this ebook, regardless of what type of product or service the newsletter is marketing. IS THIS JUST FOR MAKERS? Definitely not. This information will be incredibly valuable to anyone who wants to start a newsletter, or has a newsletter but wants to get more out of it. The examples are geared towards a business selling a product, however, the lessons and ideas are applicable for any type of business. I DON’T HAVE A WEBSITE, I CAN’T START A NEWSLETTER YET ….RIGHT? Wrong. Start now! Email marketing services allow you to set up landing pages that collect email addresses, so you don’t need a website to start your newsletter. You can read this ebook and start sending powerful emails long before your website goes live. Because email marketing services are constantly changing their features, I’ve linked to specific articles on the MailChimp and Convertkit websites that will help you complete the technical steps. But HOW TO START, SEND & GROW A SUCCESSFUL NEWSLETTER is more about best practices you can apply using any email marketing service and less about the technical side of a newsletter. I’ve personally used both MailChimp and Convertkit and would recommend them. But there are several other email marketing services to choose from. Whichever service you use, the information from the ebook will apply. I HAVE A NEWSLETTER AND HAVE BEEN OPERATING IT FOR SEVERAL YEARS, WILL THIS EBOOK HELP? Without knowing the exact knowledge you have on email marketing, I do believe even advanced email marketers will find this ebook valuable. Just like my blog articles, I explain complex techniques in a simple way so it’s easy for a beginner to follow or an expert to pick up new tips. HOW MANY SUBSCRIBERS WILL I GET AFTER READING YOUR EBOOK? I can’t guarantee you’ll grow your subscriber list by 10, or 100, or 1000 people in your first week, month or even year. And I’m not a fan of articles or courses that claim they can. No one can guarantee results, unless they’re doing custom work for your business. Even then, you’d have a hard time finding someone who will promise a specific outcome. The average conversion rate of a newsletter signup form is 1.95%. If you have a website with over 50,000 visitors/month then sure, 1000 signups within a month of adding a newsletter signup form might be doable. But even then, a 1.95% conversion rate isn’t guaranteed. You must set realistic expectations based on your business, products, how much time you have to dedicate, your newsletter knowledge, etc. This ebook was written to give you actionable advice and offer strategies that create long-lasting, realistic results; not to get you vanity subscriber numbers that don’t actually help you with sales. WHAT IF I DON’T LIKE WRITING, SHOULD I STILL START A NEWSLETTER? 110% yes! I’ve included several ideas and solutions for those who don’t like to write. I’ve also included over 25 types of emails you can send, with several examples under each, and solutions to: what if I run out of ideas? For almost every idea I share, I cover exactly how it can be put into action. HOW DO I KNOW IF THIS EBOOK IS RIGHT FOR ME? I know there’s a ton of information out there and lots of people offering advice. I’m sure there are many amazing resources for you to choose from. Everyone has their way of teaching as well as learning. My style of writing and teaching may or may not click with your learning style.